through links on this webpage only! 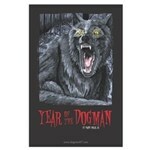 4th Book in the Dogman Series! PLEASE NOTE: "Add to Cart" is run through the PayPal system, but you don't need a PayPal account to use it. Orders are processed by our financial team, StarTeaching Inc.
We offer TWO easy methods to process your payment. If you wish to pay through your PayPal account or credit card, simply click the appropriate link below. The system accepts any major credit card and is totally secure. PayPal is the world's largest online payment system and the industry leader in information security. Griswold Mountain Inc. or StarTeaching Inc. will not see or store your credit card information. We retain only your name and address for shipping and our records. Checks/money orders are processed at our corporate offices. Please fill in the form completely below, and we will contact you with payment and billing information based on your requested order. Please Note: Checks will be held for 2 weeks or until cleared.